If A B or C is “no” or “maybe”, you do not have a good KPI. Let’s put the following easy (and common) statement to the test: “Our target is to grow the market share of our xyz product from 20% to 25% in the next 12 months”. Ambiguity: I see on our scorecard exactly 25%, so our first reaction is to celebrate. But then I must ask myself, ‘is the 25% because we perform better than planned, or because the market performance is lower than predicted?’ The broader the ambiguity, the more KPI clarity and value is hampered. If you got 25% because the market was poor, you may have a success story at hand, but you could also still have 12 months of weak sales, and thus, probably a weaker-than-expected operational income. 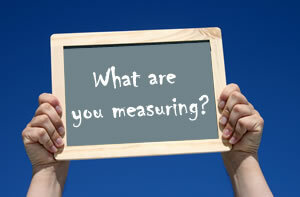 So, your KPI already appears to not make the grade in the broader company context. Bottom line: Try using a more narrow and straightforward KPI such as “I want my revenues of my xyz product to be x000 mEUR in the next 12 months”. This is simpler – normally already available- and it absolutely fits A,B, and C.
This entry was posted in KPI, Management, Strategy by andrea masci. Bookmark the permalink.